I do believe that Leonardo Da Vinci is better known to most people than Archimedes. Not to take anything away from the extraordinary mind of Da Vinci, but if we are making a list of the most brilliant minds throughout history, Archimedes should be talked about with the same hushed awe as Da Vinci. He was a mathematician who used math to design and create war machines (Da Vinci was employed to design war machines, as well.) to protect his native city of Syracuse, Sicily. War is always inconvenient to scholars. He also ”proved a range of geometrical theorems, including the area of a circle, the surface area and volume of a sphere, and the area under a parabola.” Moreover, he anticipated modern calculus and numerous other standards of mathematics upon which current science and math are built. He lived from 287 BC to 212 BC. To think about what he accomplished living in that time period is simply stunning. Leonardo Da Vinci came along much later, during the Renaissance, living from 1452-1519. Now during the Renaissance, the great minds of that era showed an interest in Archimedes’ works. The problem was that much of what he wrote was lost during the Middle Ages, which brings us to our story. This novel opens in Alexandria, Egypt, in 48 BC with the invasion of the Romans and the burning of the Great Library. A scholar, a member of the secret society of Pythagoreans, is having to make a choice of what to save from the library. He has only his two hands. Does he save great works of literature? Philosophy? No, he knows without a doubt what he must save. He must save Archimedes. Through the smoke and the falling timbers, he lays hands on what he was looking for and, against the odds, finds his way back out of the building and thus... begins the journey of a book. To call it a book is an overstatement. It is a piece of papyrus with the designs of an amazing machine etched by the hand of Archimedes. This astonishing piece of ingenuity has been ignored for almost 2000 years. Society cannot be trusted with such a valuable object, so the Pythagoreans must protect it, along with numerous other important works throughout history, from those who can’t understand the importance of it. 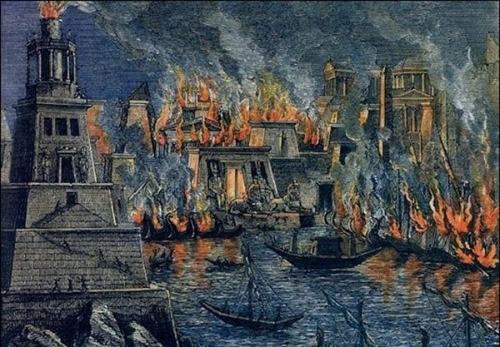 The burning of the library of Alexandria, one of the most tragic blows of knowledge lost. The authors take us on a tour of the historical world. One of my favorite stops is in Constantinople in 1204. Another invasion, this time Venetians, is putting books, art, and not to mention people at risk. We meet Halldorr, an oversized Varangian warrior, who is trying to stave off the attackers, and a nun named Simonis, who has a much different task...to once again save the Archimedes papyrus from destruction. Now she is no ordinary Nun, just as Halldorr is no ordinary man. She has been trained in the most deadly arts of self defense by the Pythagoreans. Needless to say, they are meeting for the first time, under the most perilous circumstances, and unfortunately, it will be a brief meeting. That is the fickleness of fate, to show you the missing half of yourself, but only long enough for you to recognize who you need just as you watch them slip away. And then there is Joannes Scutariotes, a 15th century scribe who shows up in our story in Venice, then Spain, then Hispaniola, with the crew of Columbus and then Cuba. He is on the run. He is a rogue Pythagorean who has absconded with the Archimedes papyrus as a form of revenge against the Society for denying him the love of his life. A Pythagorean in love is a very dangerous thing. This is one of those cases where the authors took a real life person and fictionalized aspects of his life for the purposes of plot. They include a list in the back of the book of all the historical people who have a played a part in their story. They also list all the historical artifacts that are used in the story, as well. Very handy reference devices that proved very helpful. I’ve given you a small taste of the time machine moments when the authors take the reader back in time, but woven in amongst those tasty treats is a modern day treasure hunt for the lost Archimedes papyrus. Joannes did a very good job of hiding it by making everyone believe he destroyed it, but of course at heart, he is a Pythagorean despite his rogue tendencies, and he could no more destroy such a work as he could put out his own eyes. The academic Ruth Sanders has found something that makes her believe that she is on the trail of something spectacular. She draws the attention of the odious Edouard Raleigh (yeah, he changed his name and, man, does it sound cool). He is a man interested in antiquities and is willing to do anything to lay his hands on any and all artifacts that are sellable. He pays men to raid archaeological digs, and in the process, he steals history. Providence is lost when the artifact is taken from where it was found, and all it becomes is a piece of expensive decor for a collector or a one percenter. Edouard makes a very good living. Ruth is joined by her daughter Rebecca, Mark Whitmore, a treasure hunter, and the mathematical savant Lucas. They are soon on their way to Italy to follow the convoluted clues left by Joannes while staying one step ahead of the Italian authorities and the unsavory Edouard Raleigh and his goons. 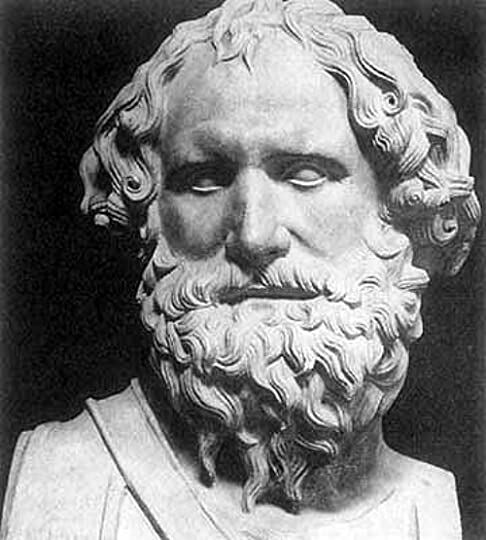 So what is the Archimedes Device? 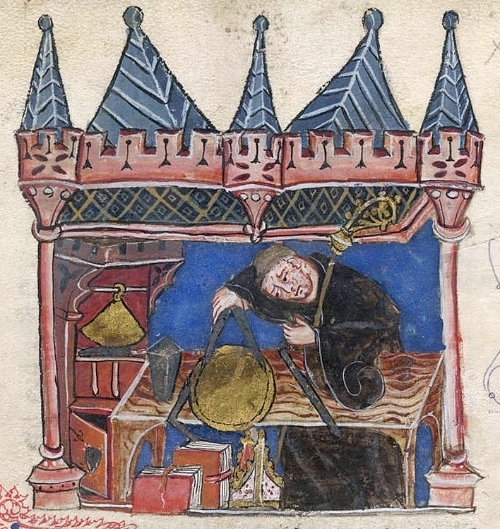 It is not for me to tell you, but I will tell you that a monk, much later than when Archimedes designed his device, Richard of Wallingford in 1327, rediscovered the concepts that Archimedes discovered 1,500+ years earlier. Knowledge that was lost for centuries. That is a new standard for being ahead of your time. Richard of Wallingford, though brilliant, was late to the party by 1,500 years. I don’t read much in the way of thrillers anymore, but I found the concept of going back and forth in time compelling. A mystery carried forward for centuries certainly held an appeal to this amateur historian. The authors have done their research and do a good job of placing the reader comfortably in the various eras, whether it be 48BC or 1492 or 2016. The paperback is 600+ pages, but don’t let that dissuade you because the pages will turn quickly. I enjoy those books that within a few pages you realize that you have to know the outcome. Isn’t he precious? Winston Churchill on the cusp of greatness. Winston Spencer Churchill was an easy man to respect, an easy man to love, but a hard man to like. 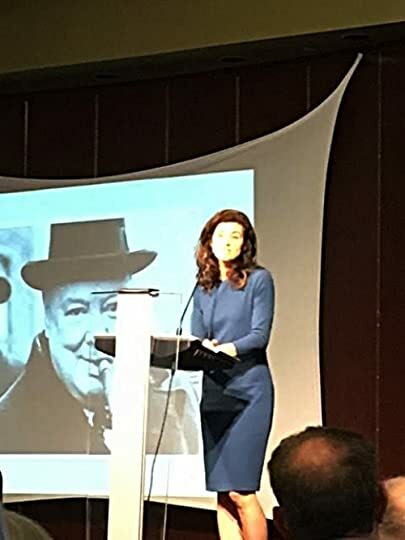 I don’t know if there has ever been a man more convinced of his own importance or with a clearer vision of his destiny than Winston Churchill. 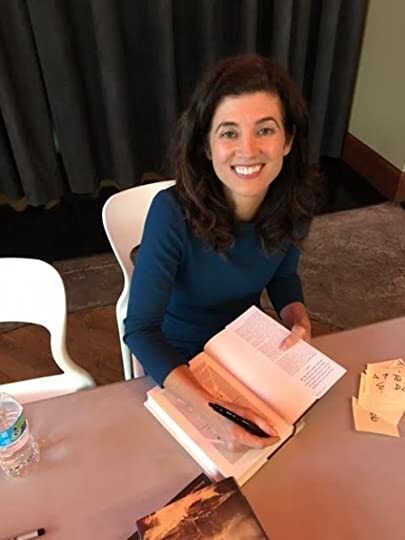 There are contenders throughout history, one being Theodore Roosevelt, who was the subject of Candice Millard’s first book. Napoleon comes to mind. Julius Caesar was willing to conquer his own country of Italy to be the man in charge. I’ve known some paler versions. One thing they have in common is that they believe completely in their abilities. They believe without a doubt that fate is on their side. They wake up every day thinking that this is the day that, finally, everyone will recognize how important they are. Because they believe in their own destiny so fervently, their ambition knows no bounds. It is always interesting to look at pictures or portraits of these great beauties from another era. I find them fascinating because their beauty is not always readily apparent, by our modern standards, from just gazing at their likenesses. Jennie was certainly not a demure British rose and seemed to be one of those women who really enjoyed the company of men. 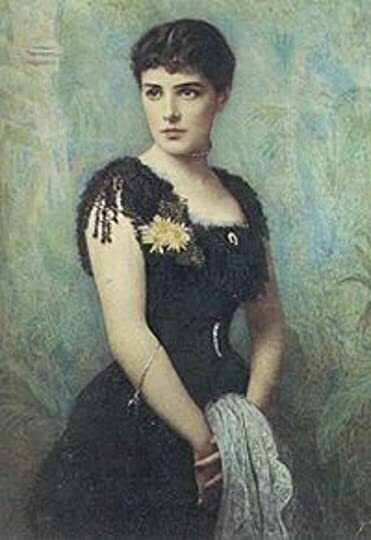 She had many lovers during her marriage, including Bertie, the future Edward VII, who was nicknamed Edward the Caresser due to the number of conquests he had as Prince of Wales and even as king. Like Winston, he was another man who could never seem to get his mother’s attention (Queen Victoria) unless he acted up. So here is Winston, practically being choked by the enormity of fulfilling his own idea of who he is supposed to be, fervently praying that the brimming war with the Boers in South Africa becomes a reality. He needs a means to prove his bravery, which will be the first step in obtaining all his other ambitions. He gets his wish. He quickly obtains a position with a newspaper and heads to South Africa as a correspondent. Not, of course, before spending a small fortune on alcohol and other certain amenities that would insure a certain level of comfort for the young aristocrat. The Boer War, which this is technically the second Boer War, is being fought over some very lucrative gold and diamond mines the Boers control that Britain would like to obtain. The other underlying issue is that, since Great Britain disapproves of slavery, the slave holding Dutch Boers do not want to become part of the British Empire. The Boers are not soldiers, just farmers and businessmen. They disdain the thought of wearing a uniform. They are very disappointed to find the British soldiers dressed in a much more prudent khaki than the lobster red uniforms for which they are famous. 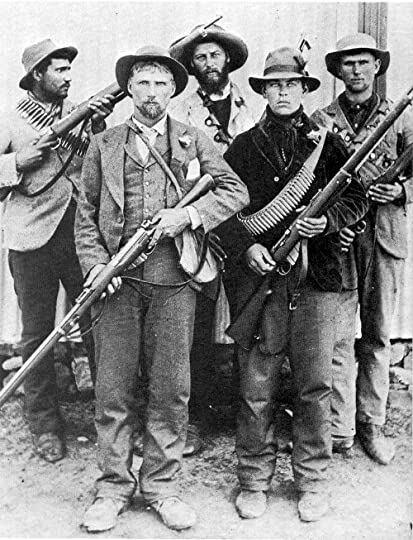 While the British still march in formation, this is 1899; you would have thought they’d have learned something from 1776, and the Boers, like the American Revolutionaries, fought a guerilla style war from cover. They approach war like a business. They aren’t there for glory or to be remembered for dying valiantly. They are there to win, and the only way they can win is by killing as many British soldiers as they can. They prefer to live to talk about their exploits. If Winston were to die, which is a ridiculous thought... remember his destiny, then he wants to make sure he dies bravely and oh so spectacularly. Now, I’m not going to go into any detail on Churchill’s capture and escape because that is why you all need to read the book. The only thing that I want to mention about that part is that there is a moment when he is reading Robert Louis Stevenson’s Kidnapped and, given his circumstances, he identifies quite strongly with the main character, David Balfour. RLS shows up everywhere! Candice Millard, as always, does an incredible job taking a slice of history and filling in enough details before and after to give the reader what they need to know to understand the significance of the moment. If you don’t know very much about Churchill, this is a great place to start. If you know quite a lot about Churchill, you will still find nuggets of information that you didn’t know before. Millard does a thorough job of researching her subject matter. She puts out a book about every five years, and that is because of the time she spends sifting through original documentation to insure that she has her information as correct as history can be. She has a fluid writing style that had me flipping pages like I was reading a novel. There were these very bright lights shining on her face so I wasn’t able to get a clear picture with my iphone, but as you can see behind Millard, she gives a picture slide with her presentation. I was fortunate to finally meet her at an event at the Watermark Bookstore in Wichita. She lives in Kansas, so I knew it was only a matter of time before I finally caught up with her. I asked her several questions about President Garfield. Her book Destiny of the Republic, about the assassination of the president, was superb. She told me that she was convinced that, had he lived, he would have been one of our greatest presidents. 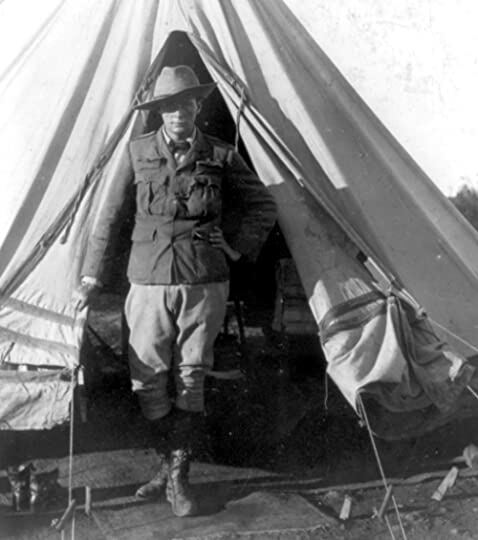 There are a lot parallels between President Theodore Roosevelt and Winston Churchill, so it is no surprise that her first book The River of Doubt was about Roosevelt’s journey through the Amazon. Men like Roosevelt and Churchill are fascinating, and writers have written many comprehensive books about them. I think what makes Millard a special writer is that she takes an event in time and defines the person by how they reacted to that event. And here is Candice Millard about to sign the books that are now permanently residing in the stately Keeten Library.